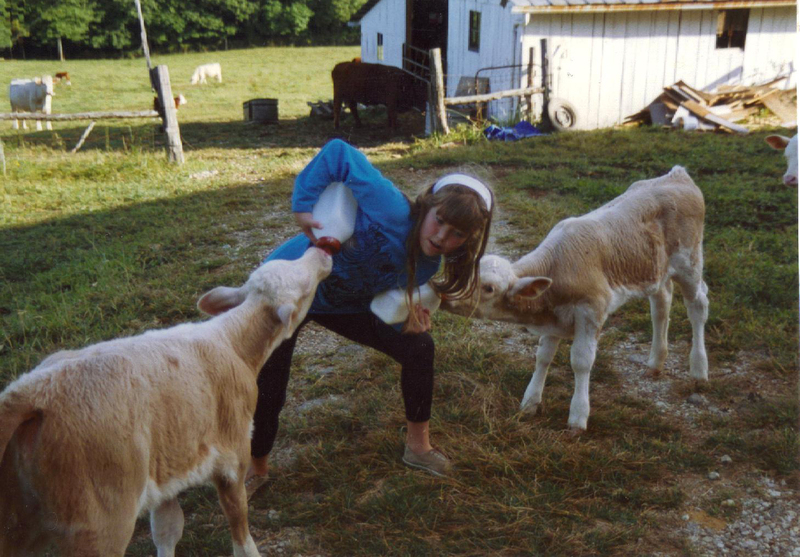 Home » childhood » Real Farmwives of America: How Did I Get Here? Real Farmwives of America: How Did I Get Here? I am so excited. Today my pal over at 3 Kids and Lots of Pigs launched “The Real Farmwives of America”! So, how did I get here: a freelance writer (and now speaker–eek! ), communicator, trainer and consultant for people and organizations, primarily in the agriculture field? My family has farmed about as long as I can remember. 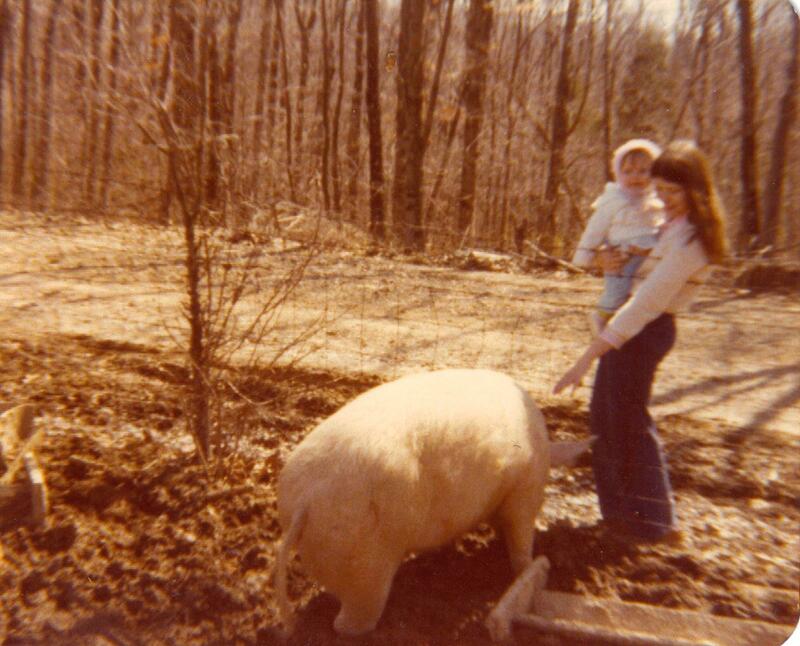 When I was a baby, we had about 25-30 pigs back when they were raised a lot differently than they are now. 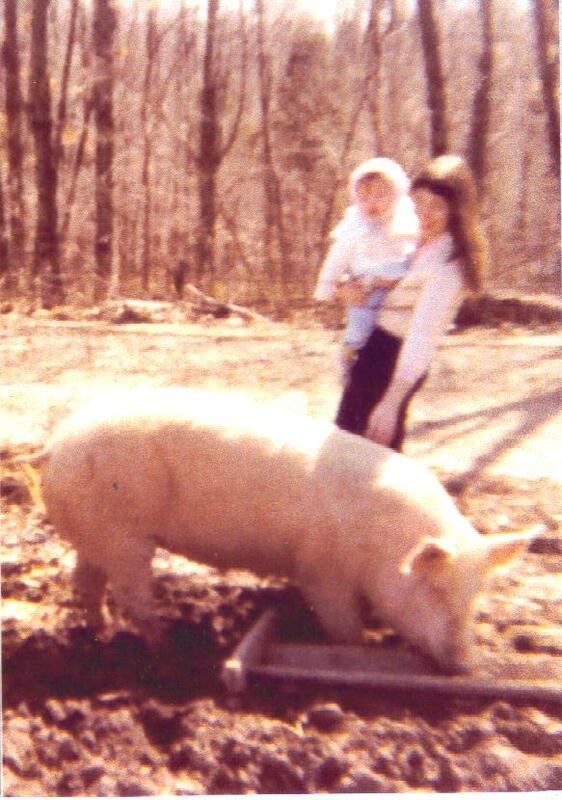 Mom tells me that this pig was lovingly named Elsie after my grandma! Ha! 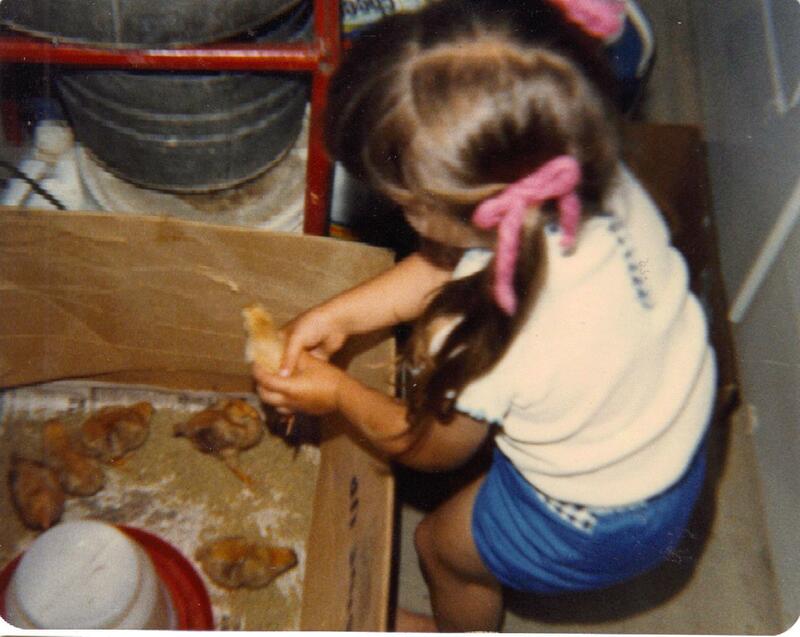 When I got a little older, my family raised meat birds for our freezer. 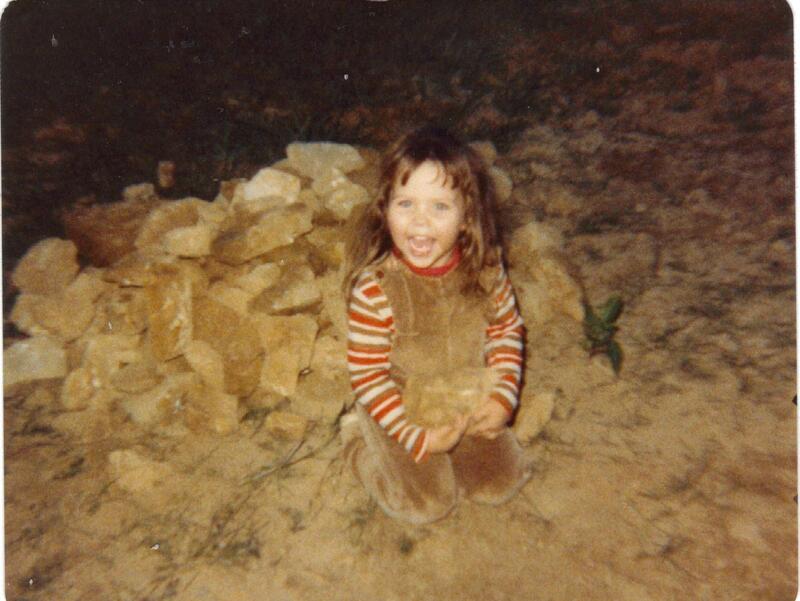 Here I am at about Miss Add’s age helping remove stones from the field. 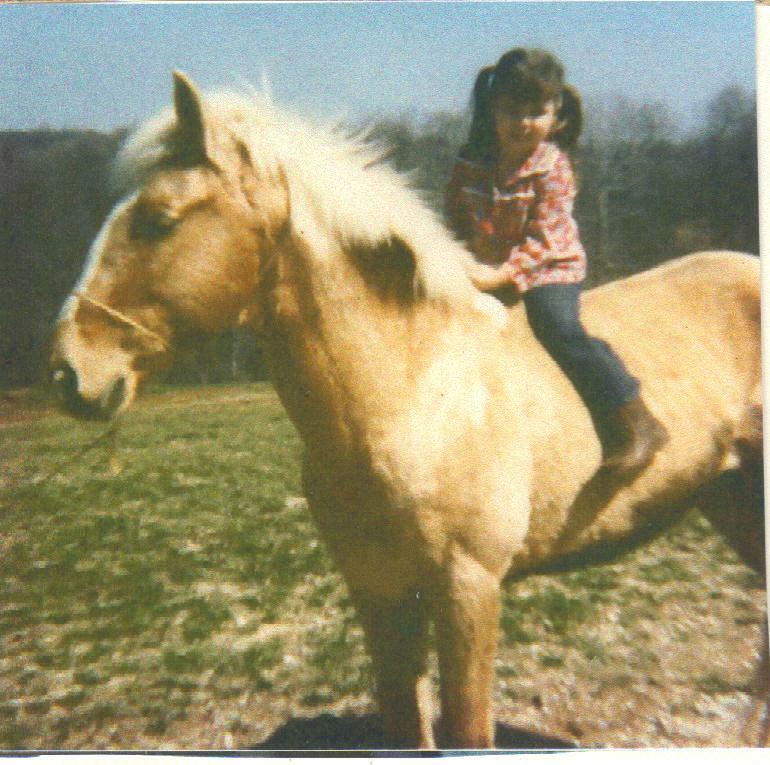 And here I am with Lighting, a horse my dad’s dad gave him when he was a kid. But the two things I remember most are cows and hay. Funny how those two little things can teach you so much. 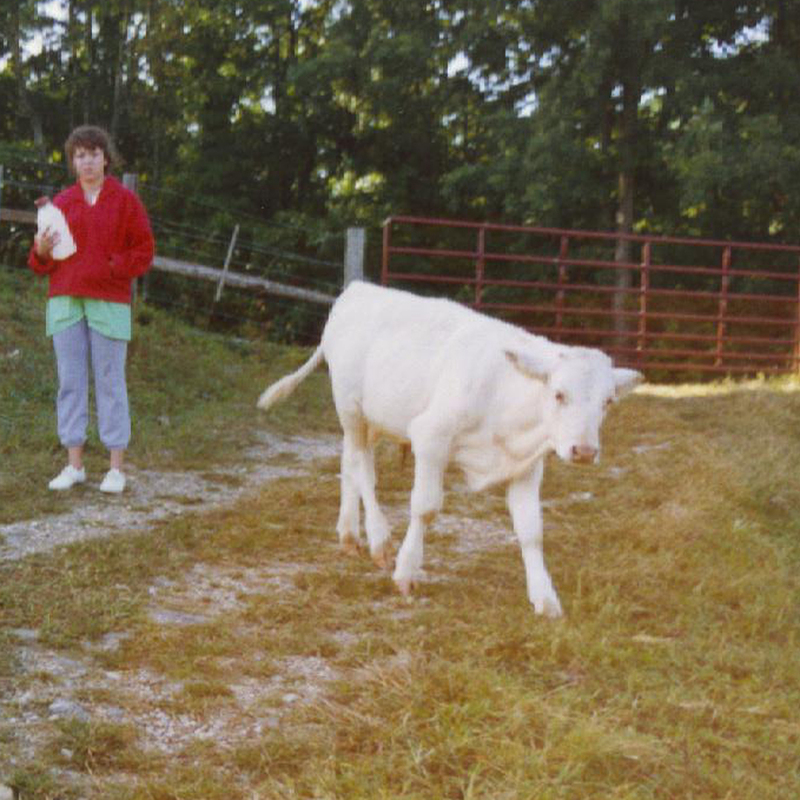 One year my dad’s 100 head herd had a quirky predicament. 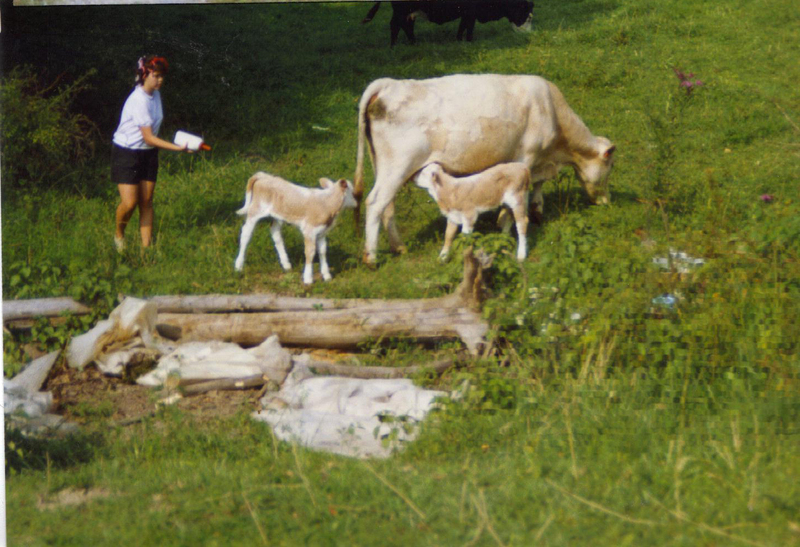 Ya see, several of our cows began having twin calves. Double profits, right? Nope… two mouths to feed and lower weight = predicament. When the first set were born, dad used it as a learning experience for me and Aunt Lou. He told us if we would supplement feeding by bottle feeding the calves in addition to their mother’s milk, we would get the profits. We were game! Then came sets 2, 3,4 and 5 and Dad decided that this learning moment needed to become a chore moment…ha! We got paid for the first set, but the other sets were deemed part of doing our part on the farm. 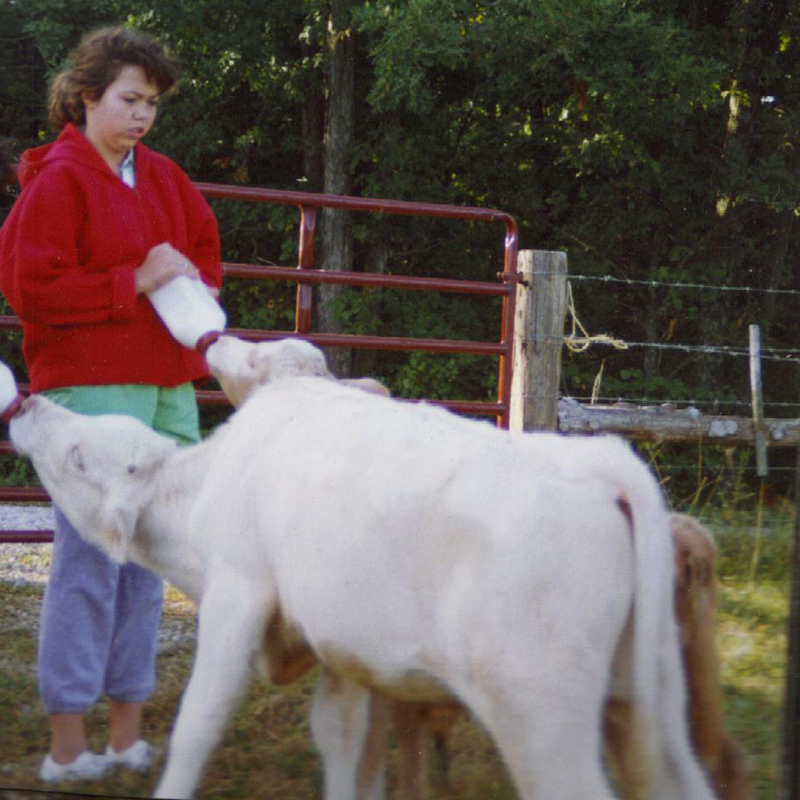 Yes, those are curlers in my hair… sometimes a farm teen’s gotta do what a farm teen’s gotta do. Hay–oh, hay. I loathed hay. It interrupted vacation schedules and delayed hot dates and movies with friends. But here is the secret. I secretly loved it. The teenage me now has to kill you for hearing that…just sayin’. I loved that we all worked together as a family. I loved that I could pitch a hay bale– a feat that some boys in my class couldn’t claim. I loved the sense of accomplishment. So, there you have it, the foundations of my work ethic that have got me here today. I reconnected with my roots in agriculture while serving as the Communications and Outreach Director for the Indiana State Department of Agriculture. 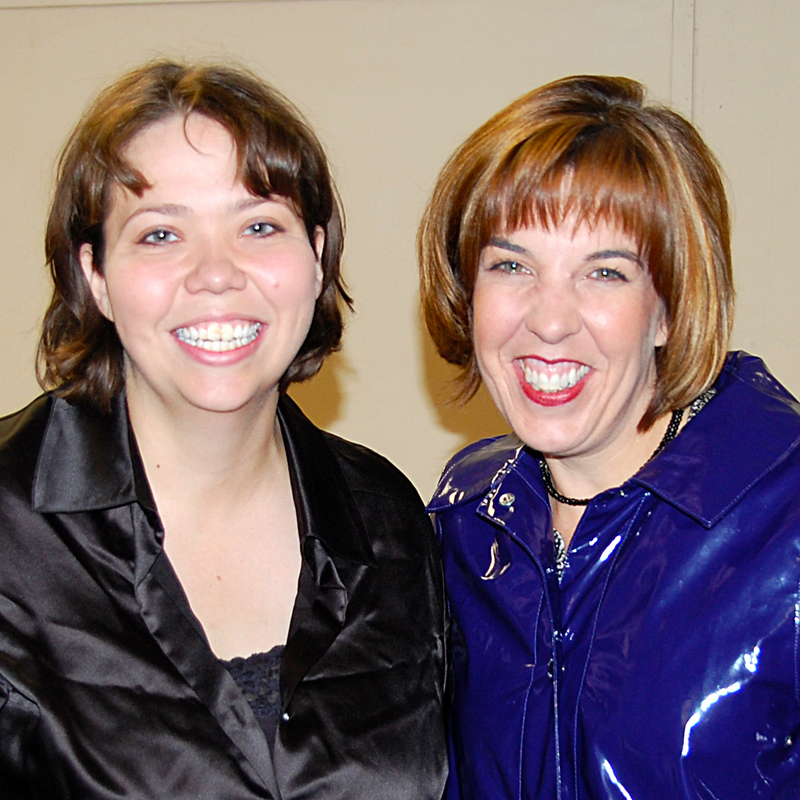 That is where I met one of the mentors that changed my life, Anne. Anne has the incredible ability to see things in other people that they can’t see themselves at first. Under her leadership and through her friendship I found my life’s passion and took the leap to the world of consulting and living my dream of a life full of purpose, passion, encouragement, problem solving, influence and creativity in an industry I believe in. I remember hating that we had to get up early to feed all the twins, but loving that they would come up to us and were so calm. As for hay…I still don't like it. I will forever say that one of the happiest days of my childhood was when dad bought a round bailer! 🙂 Love the teamwork…not the pain, sweat and exhaustion. Next time Dad calls me on 100+ degree day to do hay, I'll make sure he knows you want to help too! haha 😉 Love ya! Love the curlers in your hair! I cannot believe how much Miss Add looks like you! I'm pretty sure I'll never be able to pitch a bale of hay. And I hope I never have to! Hi ~ I'm a new follower from Hop Along Friday! I hope you will stop by Day by Day Savings and follow back. Thanks! I was going to say the same thing as Katie: Addie looks so much like you! This is exactly why we moved out here to the boonies! My kids need to learn how to work! What a great post and some great old pics. Makes me want to go dig through my folks old pics and reminisce. Thanks for sharing. I'm so glad that amazing woman Anne inspired you and now you are inspiring all of us! Love the pictures and your commitment to agriculture.